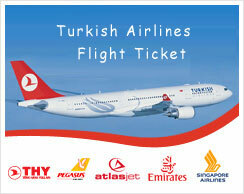 Our transferperson will be ready to meet you at Istanbul Airport upon your arrival. Full day city tour of Istanbul. There visits to ancient Hippodrome, Blue Mosque, The Underground Cistern, St. Sophia Church, Topkapi Palace, Then drive to Chora, a medieval church with all the Christian mosaics and frescoes. World famous Grand Bazaar covers more than 4000 shops. Overnight in Istanbul. After a brief visit to the 17th century Spice Bazaar, the second largest covered bazaar in Istanbul, we embark on a cruise up the Bosphorus, the legendary strait separating Europe and Asia. We cruise past the Dolmabahce and Beylerbeyi Palaces, wooden 19th century seafront mansions, picturesque villages and modern pleasure palaces, disembarking at the mouth of the Black Sea. We then drive along the strait to the Sadberk Hanim Museum (closed on Wednesdays), a gracious three-story waterfront mansion housing a rich collection of Anatolian works of arts, antiques and relics dating back to 6,000 BC. The highest point in Istanbul, commanding a panoramic view of the city. We take a short drive to the 19th century summer palace of the Sultans in the Bosphorus village of Beylerbeyi. Completed in 1865, the palace has 24 rooms and six large halls. After the tour, transfer back to your hotel. In the morning depart for Canakkale. We will drive along the northern coasts of Marmara Sea. Lunch at Tekirdag. Taking the ferry to cross Dardenelles. Visit to legendery town of Troy. Dinner and overnight in Canakkale. In the morning we drive to Troas visited by St. Paul on his 3rd Journey, (Acts 16:8-11;20:5-12; II Corinthians 2:12-13; Timothy 4:13), then continue to Assos (Acts 20:13-14) where St. Paul joined by St. Luke. After we finish our visit in Assos, we drive to Pergamum (2:12-17) visit the Acropolis and Asclepion, the Medical center of thermal cure. For evening, we continue to metropolis of Izmir (Smyrna, Revelation 2: 8-11), Homer’s birthplace on the Aegean Coast. Overnight in Izmir. Today begin with Thyatira (Akhisar) (Revelation 2: 18-29 , Acts 16:14), a city of artisans’ guilds in St. Paul’s time. In the afternoon city tour of Izmir. Today visit three of Seven Churches. Drive to Sardis, one of the most picturesque areas of these seven cities. It is here St. John expressed his concern for pushing further with the progress of the city’s faith (Revelation 3: 1-5). Move to Philadephia (Alasehir), a favorite city of Paul and John. Leodicia (Revelation 3: 14-22; Colossians 2: 1; 4: 13-16), was another prosperous city in the chain, where Christianity first spread. Later, proceed across valley to the neighboring city of Hierapolis along with the spectacular thermal pools of Pamukkale. Overnight in Pamukkale. Today is truly special! Drive to Ephesus (Ephesians; Revelation 1: 11, 2: 1-7; Acts 18: 19-28; 19: 1-4). It was the home of St. Paul between 54 and 57 A.D. Nearby we visit the Virgin Mary’s House on a wooded hilltop where it was miraculously discovered. Finally we stop at the restoration of St.John’s Basilica where, according to legend, he was buried. A short drive to Kusadasi which is very popular holiday destination nearby Ephesus. Overnight in Kusadasi.